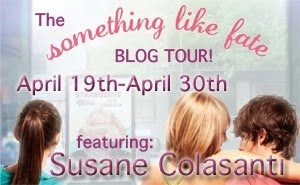 Today I'm pleased to host author Susane Colasanti and her new book Something Like Fate (out May 4th). 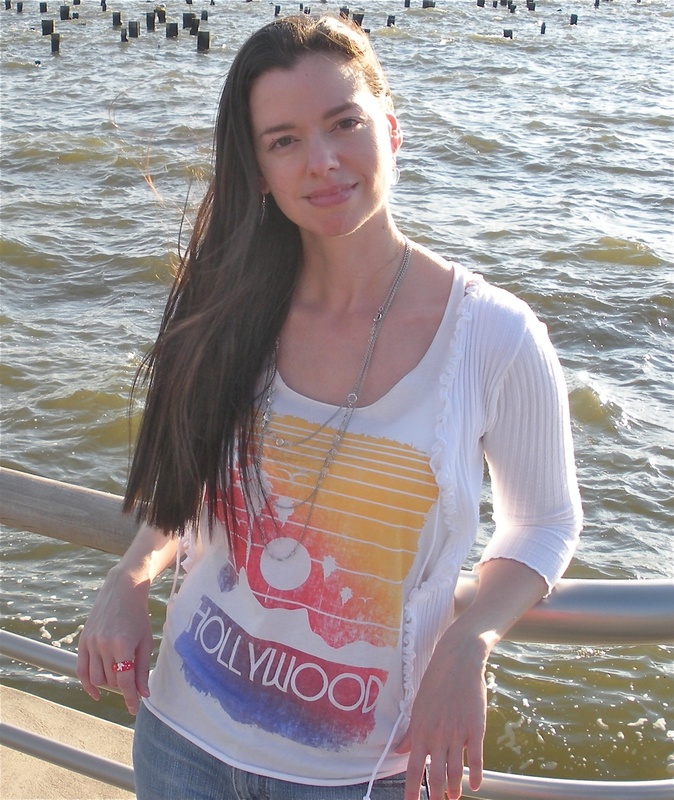 Have some fun stuff today for you including a guest post from Susane on Palmistry (she's talking about a different topic related to fate at every tour stop! 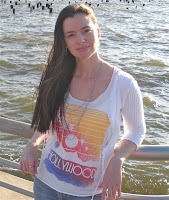 ), an interview with her and a giveaway! To check out the rest of the tour stops click here. Some people don’t have a lot of lines on their palms. I am not one of those people. My palms have so many lines it’s not always easy to tell which is which. Maybe that’s why I’ve always been interested in palm reading. I remember ripping out a few pages from Seventeen back in the day (can you believe it’s been around for over 60 years?) that had diagrams showing what each line on your palm means. Palmistry is used to determine characteristics about a person and foretell key events in the future. Major lines on your hand all represent an aspect of your life, like the heart line and the fate line. Hand shape also has significance, classified as earth, air, water, or fire. I’m pretty sure I have water hands. Then there are a bunch of minor lines and other markings like stars and triangles, all with specific meanings. If you’re interested in reading your palm (use the hand you write with), I suggest starting with a palmistry map and building from there. Oh, and if you happen to have fire hands, no worries. It just means you’re enthusiastic and creative. 1. I love the concept of fate and how it plays into people's lives. How did you wrap your head around something so abstract? Although the idea of fate is abstract in a lot of ways, I tend to focus on its concrete aspects. I believe that we’re the architects of our own destiny. We shape our lives by the choices we make. That said, life is a wild thing. There are some things we just can’t control. Which can be really scary, since there’s no way to know exactly how our futures will look. Understanding that everything is connected helps to eliminate this fear of the Unknown. Everything we do not only affects our lives, but the lives of people we don’t even know. Exploring the possibilities of these connections opens up so much in terms of plot development. In Something Like Fate, I examine how the small choices my characters make on a daily basis result in huge consequences. 2. You seem like such a positive person and it really comes across in your writing. How do you maintain that positivity? It’s hard to stay positive when life is sucking so massively you wonder how things will ever get better. When times get tough, I hold on to the hope that things will eventually get better. Reminding myself about the goals I want to accomplish helps to push me forward, even when I’m feeling like I just want to hide under the covers and never come out. We all have our bad days. The trick is to find some good within the bad. 3. What types of books do you personally enjoy reading? What authors inspire you? There are so many excellent teen novels out now! Finding new authors to love is one of my hobbies. My favorite books are ones that feel completely real. Whenever a book can keep me awake until three in the morning because I have to know what happens next even though I can barely keep my eyes open, I’m inspired. Some authors in this category are Laurie Halse Anderson, Blake Nelson, and S.E. Hinton. Sandra Scoppettone’s YA novels from the 70s completely captivated me. I also love reading lots of adult fiction, especially everything by Jodi Picoult, Garrison Keillor, Jonathan Tropper, Nick Hornby, Anne Tyler, and Tom Perrotta. Here's how to enter to win a signed hardcover of Something Like Fate! The giveaway will end May 13th at 6:59 pm Central Time. Years ago, I knew someone who was very good at reading palms. She read mine and said I'd have money some day. I'm still waiting for that to happen. I can't wait for the release of Something Like Fate. It sounds awesome!